100% COLOR Out of White Dams! It was so much fun to watch this "mini-me" being born from Gypsey. She looks just like her: tall and well-proportioned with that Super Model look. She is a beautiful deep dark maroon with undertones of black, especially on her face and feet. She is beginning to turn dark rose grey and will likely be shown in the grey class. She has beautiful luster and fine fiber. Her dam, Gypsey Rose, is a dark silver grey female with a splash of white flash on her face, chest, and front feet. 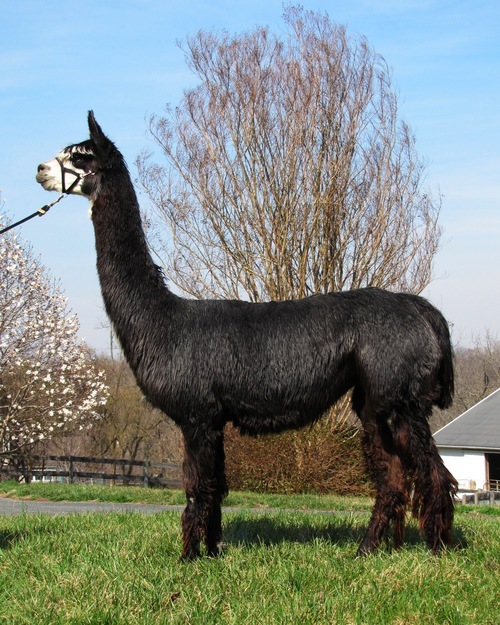 Her lineage is stacked with dark color, especially black: Renzo, Bailey, Breakstone Dune's Asia, Diamond's Black Sapphire, QA11 Black Diamond, and TSP's Peruvian Ashley. 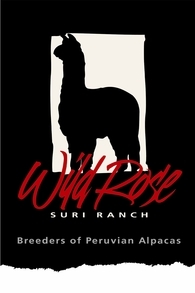 Her bloodlines are a mix of Chilean, Bolivian, Peruvian, and Accoyo to take the best traits and intense colors to produce her. 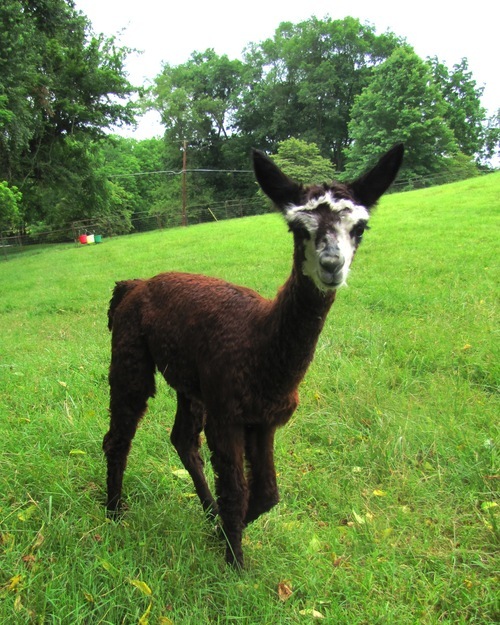 Gypsey Rose has a uniform grey blanket - no spots of white other than her distinct flashy markings, no brown spots, etc. 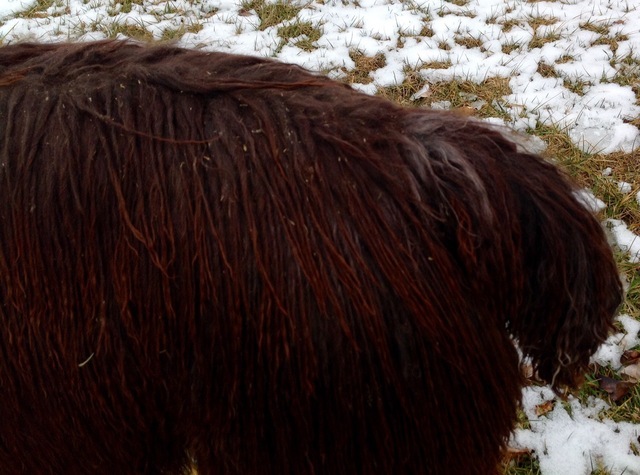 Gypsey has a tremendous amount of milk, with her crias weighing more than 60 lbs at 3 months of age! 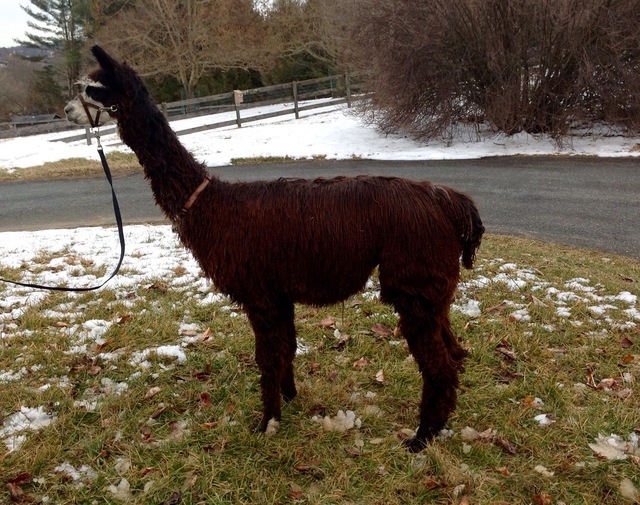 Her sire, Nomar, is that very rare deep maroon color. He is a MacGyver son out of a black dam. 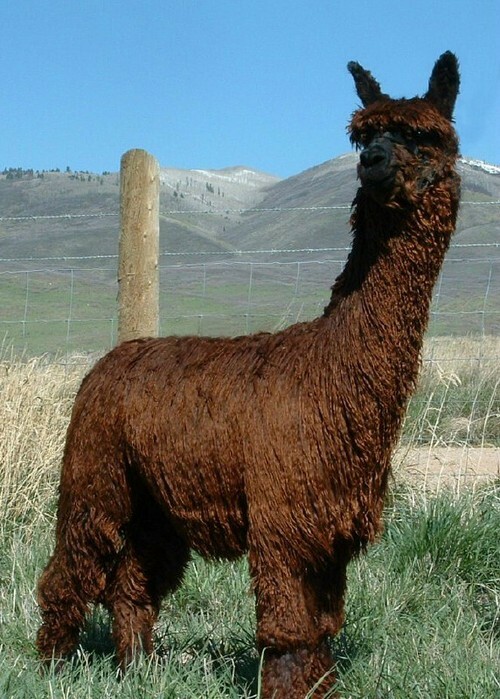 Nomar has produced over 25 crias. 100% have color including true blacks out of both non whites and whites, striking multis, and numerous browns! 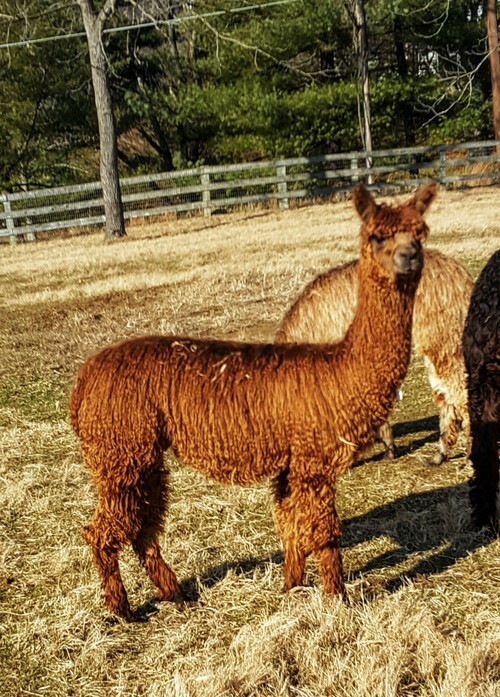 He is consistently producing crias with deep rich color, beautiful bearded heads, solid bone, excellent conformation and dense, high luster locked fleece. Eclipse is playful and curious and has already been halter trained. She walks on the scale on command, loads into a trailer, leads beautifully and is a great show prospect that is easy to handle. She is ready to show! Contact Patti at 443-/740-4240 for more information and to schedule a visit to see this beauty!